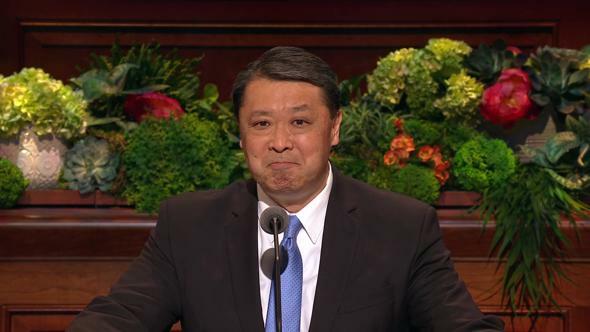 I add my welcome to Elder Gerrit Gong and Elder Ulisses Soares to the unparalleled brotherhood of the Quorum of the Twelve. 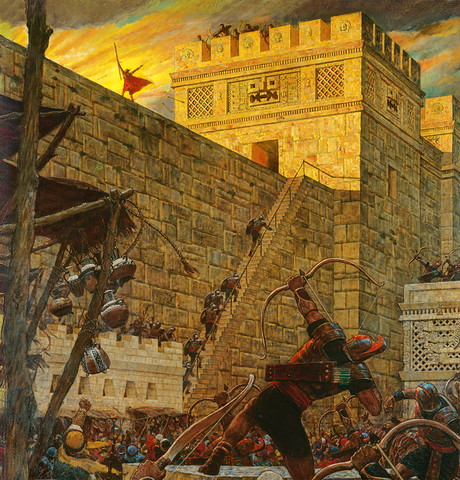 In sustaining President Russell M. Nelson as the Lord’s prophet and as President of The Church of Jesus Christ of Latter-day Saints, we were part of a divinely decreed solemn assembly—solemn because the events of this past hour have been anticipated in the heavens since before the world was. 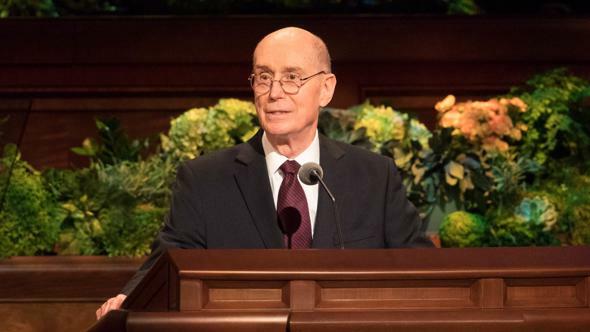 The Lord Jesus Christ, who directs His work, has today through President Eyring presented His prophet, His anointed leader, to us, His covenant people, allowing us publicly to manifest our willingness to sustain him and follow his counsel. To those millions of members who are not here with us in the Conference Center, I want you to know that the Spirit of the Lord in this building during the sustaining of President Nelson was exactly as you would have anticipated it—full of spiritual power. 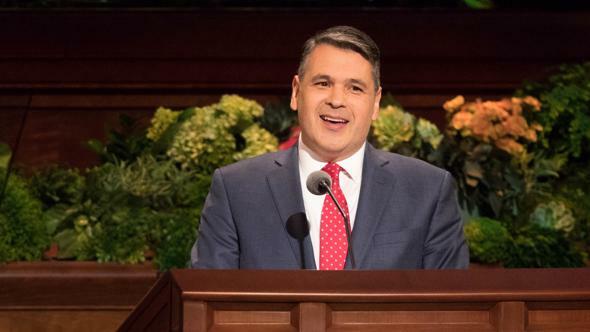 But our heaven-directed assembly is not in this Conference Center alone but across the world—in chapels in Asia, Africa, and North America; in homes in Central and South America and Europe; on covered patios in the Pacific and the islands of the sea. This assembly is in whatever part of the world you might be, even if your connection is no more than the audio of your smartphone. Our raised hands were not counted by our bishops, but they were surely noted in heaven, as our covenant is with God, and our action is recorded in the book of life. The selection of a prophet is made by the Lord Himself. There is no campaigning, no debates, no posturing for position, no dissension, distrust, confusion, or commotion. I too confirm that the power of heaven was with us in the upper room of the temple as we prayerfully encircled President Nelson and felt the undeniable approval of the Lord upon him. President Nelson’s selection to serve as God’s prophet was made long ago. The Lord’s words to Jeremiah also apply to President Nelson: “Before I formed thee in the belly I knew thee; and before thou camest forth out of the womb I sanctified thee, and I ordained thee a prophet unto the nations.”1 Only three years ago, Elder Nelson, at age 90, was fourth in seniority, with two of the three senior Apostles being younger in age than he was. The Lord, who controls life and death, selects His prophet. 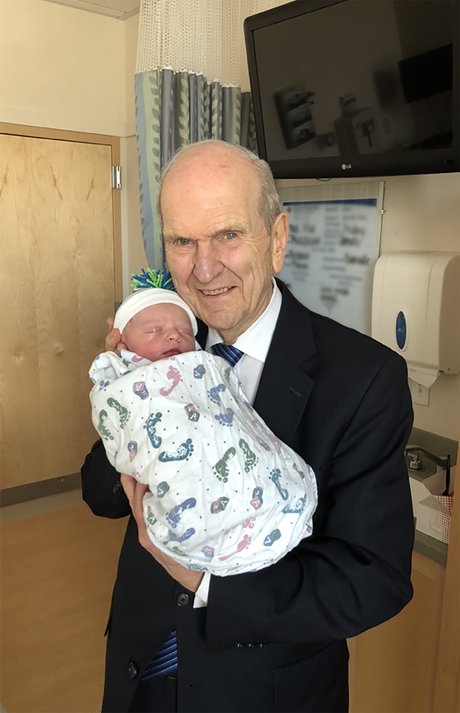 President Nelson, at age 93, is in amazing health. We hope he will be with us for another decade or two, but for now we are trying to persuade him to stay off the ski slopes. 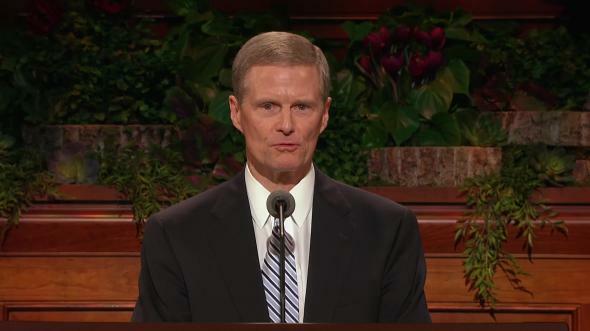 The most important role of the Lord’s prophet is to teach us of the Savior and lead us to Him. There are many logical reasons to follow President Russell M. Nelson. Even those not of our faith would call him brilliant. He was a medical doctor at age 22, an esteemed cardiac surgeon, and a renowned pioneer in the development of open-heart surgery. Most would acknowledge his wisdom and judgment: nine decades of learning about life and death, living unselfishly, loving and teaching God’s children in every corner of the globe, and maturing with the experiences of having 10 children, 57 grandchildren, and 118 great-grandchildren (this last number changes frequently; a great-grandson was born only this past Wednesday). Although we admire all of these noble qualities, why do we follow President Nelson? Why do we follow the prophet? Because the Lord Jesus Christ has called him and designated him as His watchman on the tower. 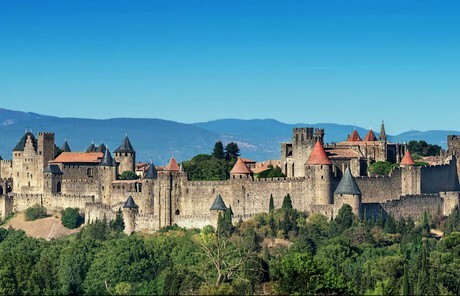 Carcassonne is a remarkable walled city in France that has stood since medieval times. Tall towers surge upward from its protected walls, built for watchmen who stood on those towers day and night, keeping their attention riveted in the distance for the enemy. When the watchman saw an enemy approaching, his warning voice protected the people of Carcassonne from the impending danger they could not see. A prophet is a watchman on the tower, protecting us from spiritual dangers we may not see. Is this blind faith? No, it is not. We each have a spiritual witness of the truthfulness of the Restoration of the gospel of Jesus Christ. 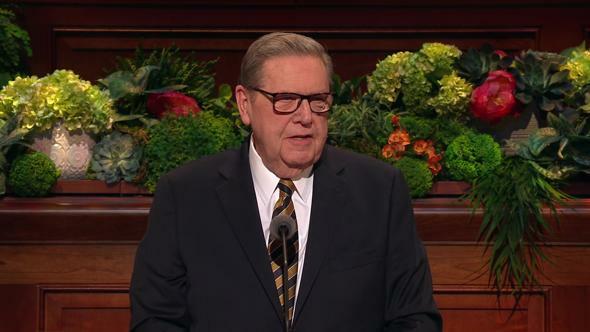 By our own will and choice, we raised our hand this morning, declaring our desire to sustain the Lord’s prophet with our “confidence, faith, and prayer[s]”9 and to follow his counsel. We have the privilege as Latter-day Saints to receive a personal witness that President Nelson’s call is from God. While my wife, Kathy, has known President Nelson personally for nearly three decades and has no question about his divine mantle, upon his setting apart, she began reading all his general conference talks of the past 34 years, praying for an even deeper assurance of his prophetic role. I promise you that this greater witness will come to you as you humbly and worthily seek it. Why are we so willing to follow the voice of our prophet? 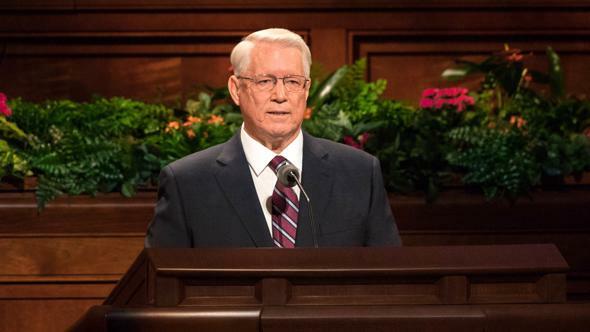 For those diligently seeking eternal life, the prophet’s voice brings spiritual safety in very turbulent times. We live on a planet clamoring with a million voices. The internet, our smartphones, our bloated boxes of entertainment all plead for our attention and thrust their influence upon us, hoping we will buy their products and adopt their standards. Anchoring our souls to the Lord Jesus Christ requires listening to those He sends. Following the prophet in a world of commotion is like being wrapped in a soothing, warm blanket on a freezing cold day. We live in a world of reason, debate, argument, logic, and explanation. Questioning, “Why?” is positive in so many aspects of our lives, allowing the power of our intellect to guide a multitude of choices and decisions we face each day. But the Lord’s voice often comes without explanation.13 Long before academics studied the impact of infidelity upon trusting spouses and children, the Lord declared, “Thou shalt not commit adultery.”14 Beyond relying on the intellect alone, we treasure the gift of the Holy Ghost. The prophet’s voice, while spoken kindly, will often be a voice asking us to change, to repent, and to return to the Lord. When correction is needed, let’s not delay. And don’t be alarmed when the prophet’s warning voice counters popular opinions of the day. The mocking fireballs of annoyed disbelievers are always hurled the moment the prophet begins to speak. As you are humble in following the counsel of the Lord’s prophet, I promise you an added blessing of safety and peace. Don’t be surprised if at times your personal views are not initially in harmony with the teachings of the Lord’s prophet. These are moments of learning, of humility, when we go to our knees in prayer. We walk forward in faith, trusting in God, knowing that with time we will receive more spiritual clarity from our Heavenly Father. One prophet described the incomparable gift of the Savior as “the will of the Son being swallowed up in the will of the Father.”15 The surrender of our will to God’s will is, in fact, not surrender at all but the beginning of a glorious victory. Some will try to overly dissect the prophet’s words, struggling to determine what is his prophetic voice and what is his personal opinion. 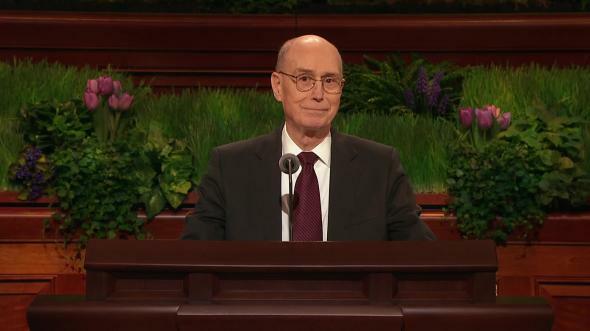 In 1982, two years before being called as a General Authority, Brother Russell M. Nelson said: “I never ask myself, ‘When does the prophet speak as a prophet and when does he not?’ My interest has been, ‘How can I be more like him?’” And he added, “My [philosophy is to] stop putting question marks behind the prophet’s statements and put exclamation points instead.”16 This is how a humble and spiritual man chose to order his life. Now, 36 years later, he is the Lord’s prophet. 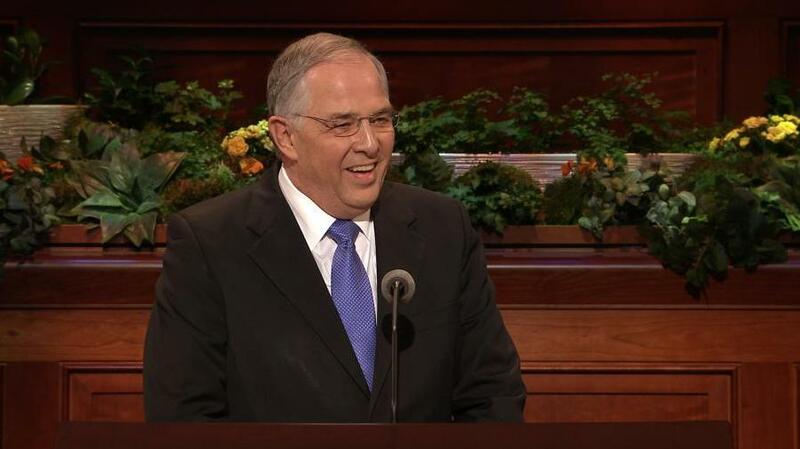 In my personal life, I have found that as I prayerfully study the words of the prophet of God and carefully, with patience, spiritually align my will with his inspired teachings, my faith in the Lord Jesus Christ always increases.17 If we choose to set his counsel aside and determine that we know better, our faith suffers and our eternal perspective is clouded. I promise you that as you remain resolute in following the prophet, your faith in the Savior will increase. We studied his words with patience and faith. We were humble enough to follow him. 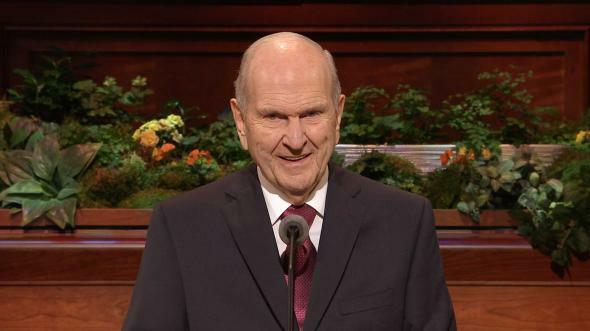 I give you my solemn witness that Jesus is the Christ, our Savior and Redeemer, and that President Russell M. Nelson is His anointed prophet upon the earth. In the name of Jesus Christ, amen. Personal memory; also see Spencer J. Condie, Russell M. Nelson: Father, Surgeon, Apostle (2003), 235. “‘… The whole set of reasons seemed to me to be unnecessary risk taking. … Let’s don’t make the mistake that’s been made in the past, … trying to put reasons to revelation. The reasons turn out to be man-made to a great extent. The revelations are what we sustain as the will of the Lord and that’s where safety lies’” (Life’s Lessons Learned , 68–69). Russell M. Nelson, in Lane Johnson, “Russell M. Nelson: A Study in Obedience,” Ensign, Aug. 1982, 24; Tambuli, Jan. 1983, 26. 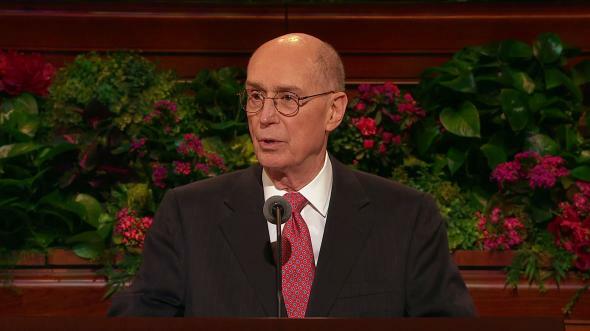 President Henry B. Eyring said: “Another fallacy is to believe that the choice to accept or not accept the counsel of prophets is no more than deciding whether to accept good advice and gain its benefits or to stay where we are. But the choice not to take prophetic counsel changes the very ground upon which we stand. It becomes more dangerous. The failure to take prophetic counsel lessens our power to take inspired counsel in the future. 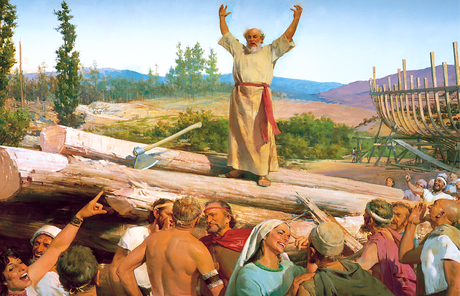 The best time to have decided to help Noah build the ark was the first time he asked. Each time he asked after that, each failure to respond would have lessened sensitivity to the Spirit. And so each time his request would have seemed more foolish, until the rain came. And then it was too late” (“Finding Safety in Counsel,” Ensign, May 1997, 25). Matthew 16:16; see also John 6:69.